as certainly a welcoming opportunity, specifically one that will allow me to share my passion for Persian food with a new set of readers, but also learn about other Middle Easter and North African cuisines. Another area of interest for me is seeing how many of our dishes are similar and how the ingredients and cooking cooking methods vary from country to country. This first round is hosted by Asmaa from Halal Home Cooking who represents Algeria. For this month Asmaa has prepared a delicious Algerian Dolmeh. 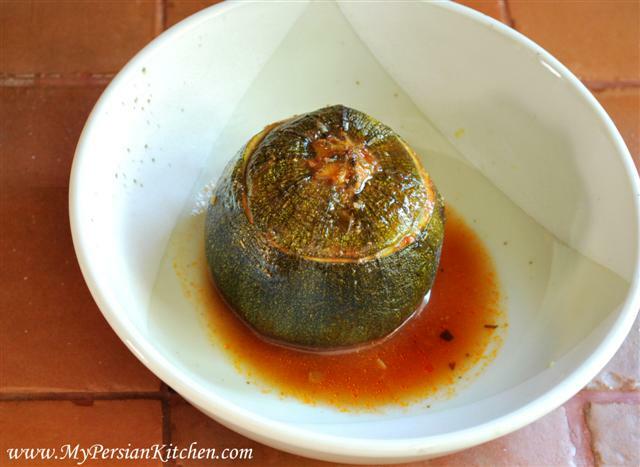 Since the first deadline sneaked up on me so fast and I was out of town, I am recycling an old post that goes with this month’s theme: Kadoo Dolmeh, Stuffed Squash. 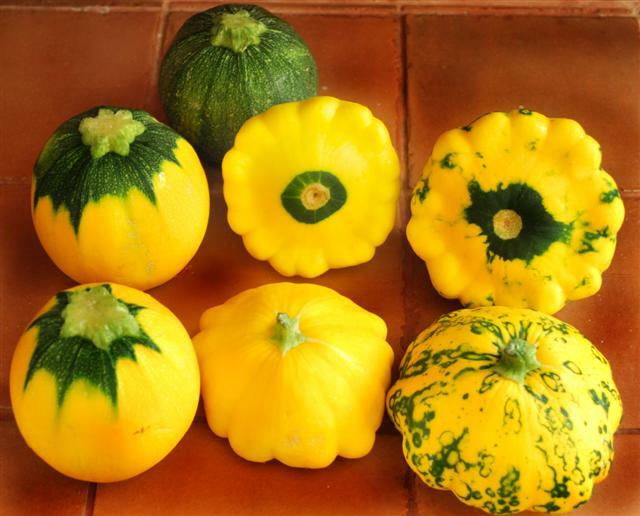 These pretty and delicious squashes are now in season. When saying the word “Dolmeh” most people immediately think of stuffed grape leaves. 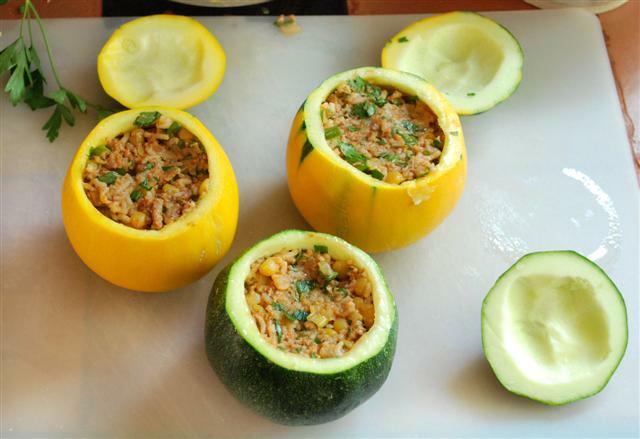 Persians use the word “dolmeh” for any type of vegetable that is stuffed. 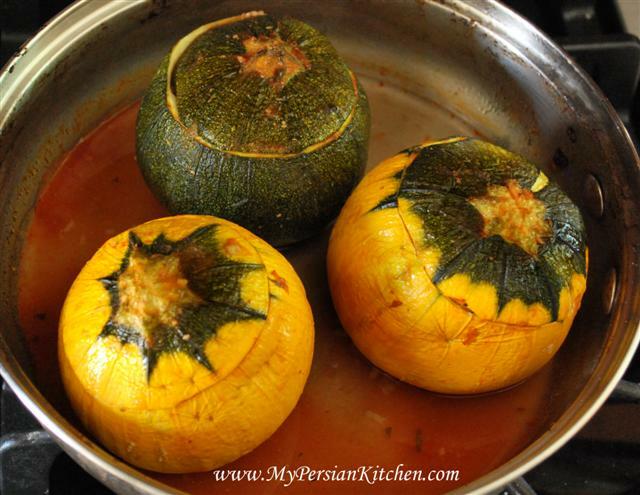 I love the way Persians make stuffed vegetables, it is so good! 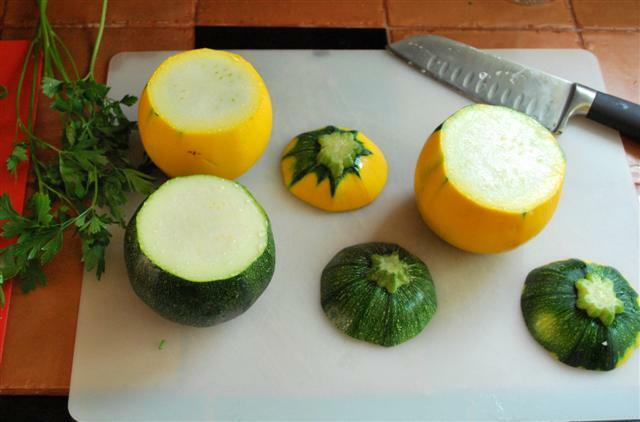 I could not resist making dolmeh with these squashes because they looked gorgeous and I thought that they would be fun to photograph. Cook split peas and rice for 30 minutes. Make sure that you season with salt. Sauté onion and garlic in oil. When translucent add ground meat. Season with salt and cook until meat is well cooked. I used ground turkey in this case because it has less fat. 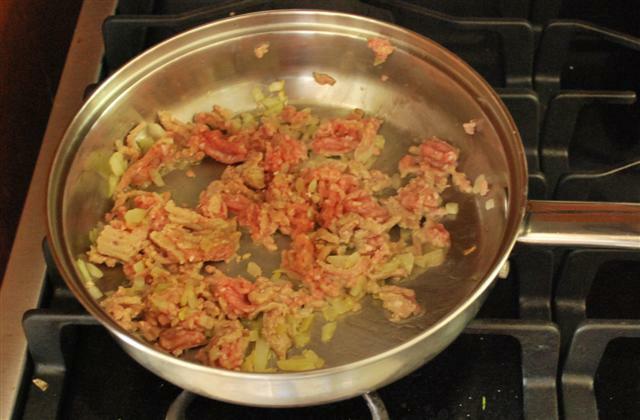 You can use any type of ground meat that you little heart desires. 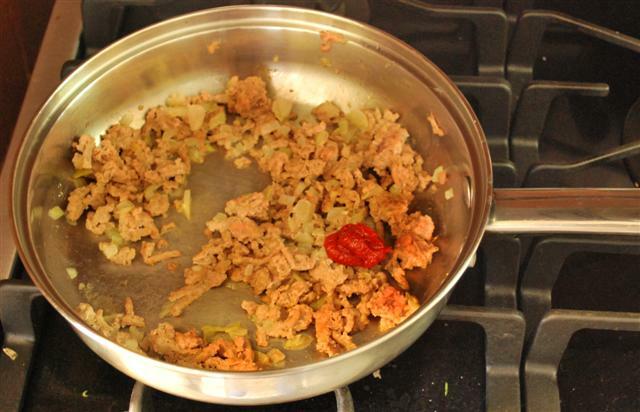 Add 1 tbsp of tomato paste with 1/4 cup of water. 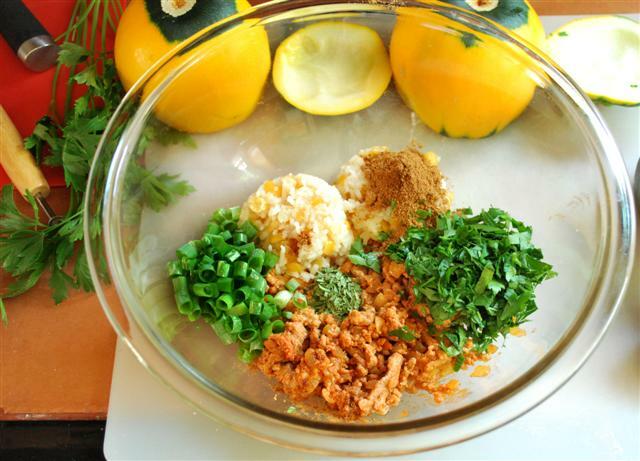 Let reduce until juices are absorbed. 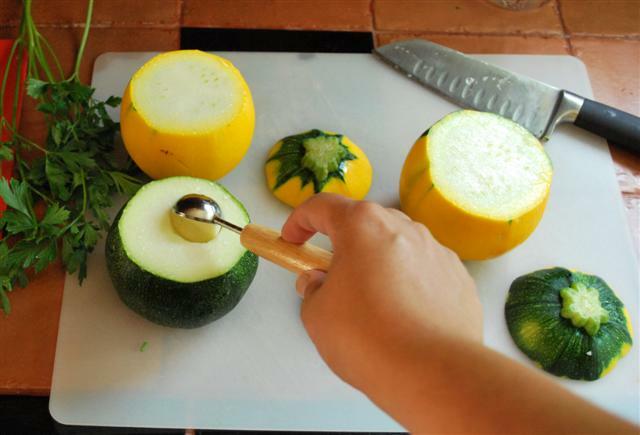 In the mean time cut the top part of the squash. Carve out the flesh and save for later use. 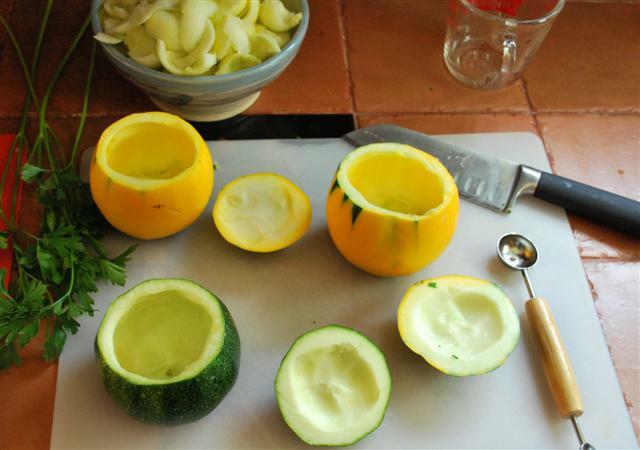 Rub the inside of the squash with a little salt. 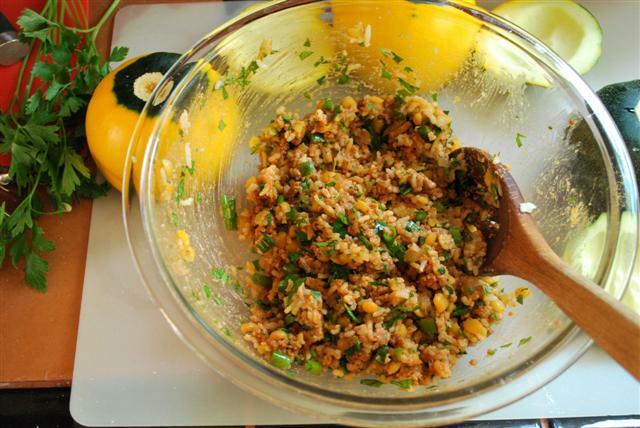 In a bowl mix rice, split peas, cooked ground meat, parsley, chives, tarragon, and advieh. Add a pinch of pepper and adjust salt if needed. Load the mixture into the squash. This recipe was just enough for these three for me. 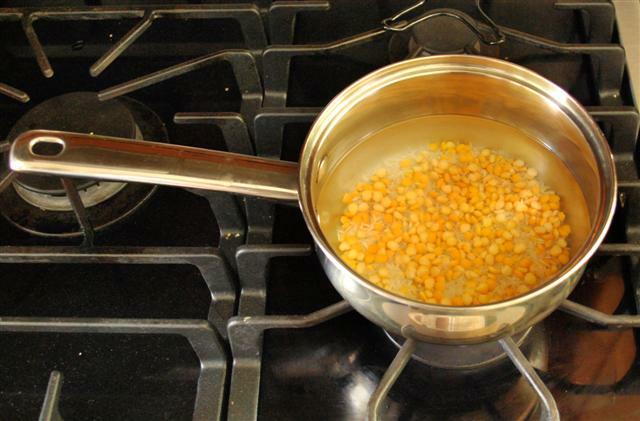 In a pan bring 1 cup of water to boil. Add 1 tbsp of tomato paste, a pinch of saffron, and a pinch of salt. 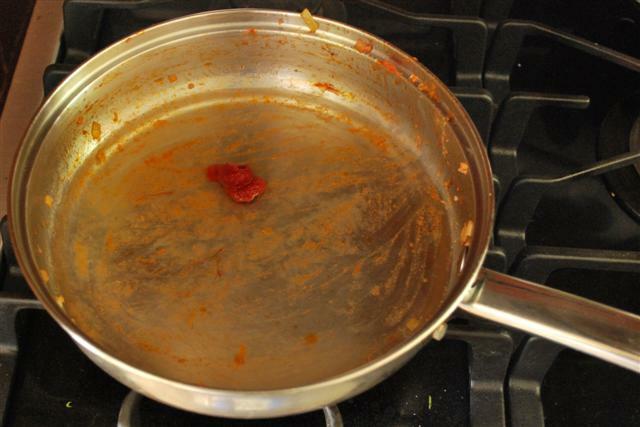 I used the same pan where I cooked the meat. If you are a perfectionist you can use a new pan, I am all about practicality and having to wash less dishes! 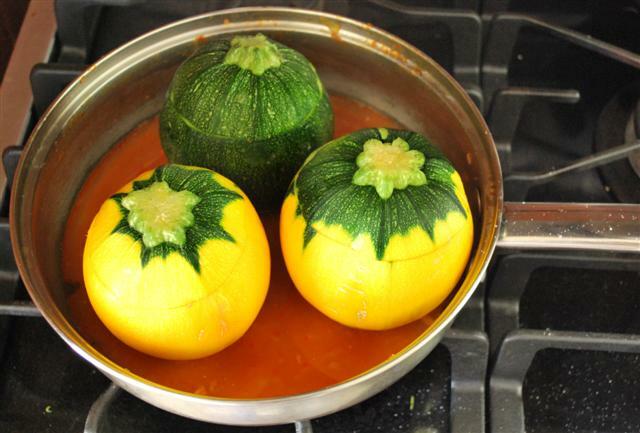 Place the squashes in the pan, cover, and bake in 375° oven for 45 minutes. Uncover and cook until a fork easily penetrates in the skin. While cooking baste he squashes with the juices. Serve the squash with some of its juices. * For those who keep a Gluten Free diet, use GF rice. How gorgeous this is and wow, it looks amazing. I just want to eat it. Thank you for being part of the club I added your link.. Perfect! Love the idea of adding saffron while steaming/baking these babes. They come out pretty good. Great Job!